Once Upon a Time there was a girl who liked to read. One day she decided to write a book she thought no one would read, and planned on writing it just to see if she could. She got stuck on the original idea, and wrote a second volume ahead of it, which turned the premise for a stand alone title into a series. When she finished writing the first book, she thought…why not, and sent it to a publisher to see if they would want to add it to their catalog of books. October 26, 2012, Wicked Satyr Nights was released in eBook format. January 2014, it was released in Print. August 2014 It appeared on bookshelves in my local Barnes and Noble booksellers. October 18, 2014, almost exactly 2 years later, I had my first book signing, and saw my book, my glorious book, being celebrated in an Honest-to- God bookstore. I am blessed. 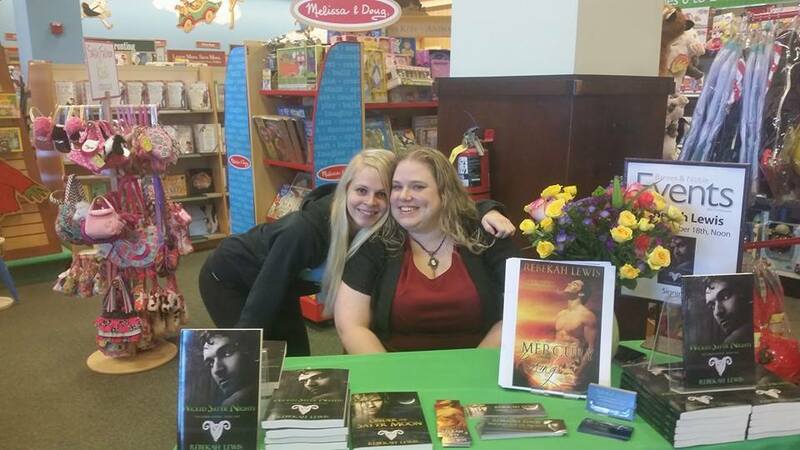 Thank you Breathless Press for taking a chance on me, to the readers for supporting me and holding my hand, and to Barnes and Noble for giving me such an amazing opportunity! I arrived at Barnes and Noble about 15 minutes before the signing was to start, and they had thirty copies of Wicked Satyr Nights on the table. 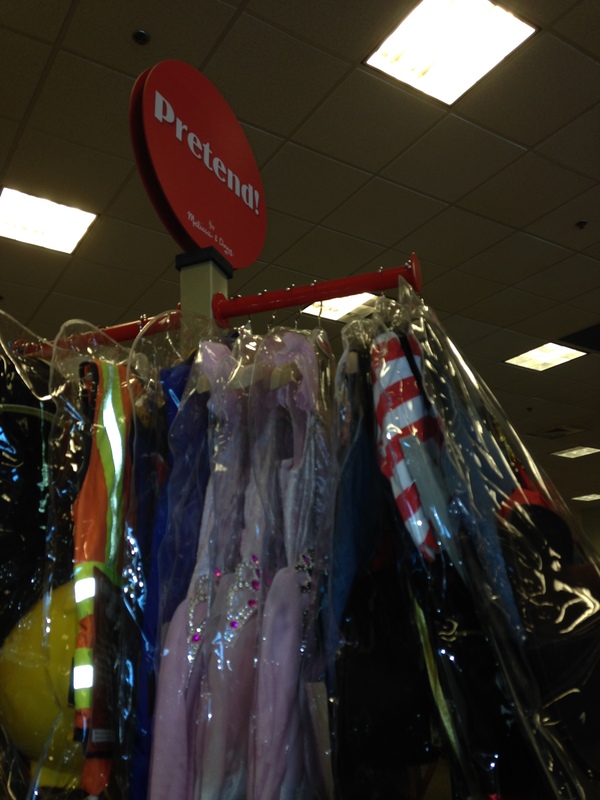 I missed it entirely walking in and had to go ask the customer service people where to go, and it seems they stuck me in the children’s section next to the aforementioned “pretend” sign atop a rack of children’s costumes which made me laugh. Not the best product placement of my book, and I feel like since even I passed the table by and I know that cover like the back of my hand, that potential readers likely passed me by as well not realizing I was there. 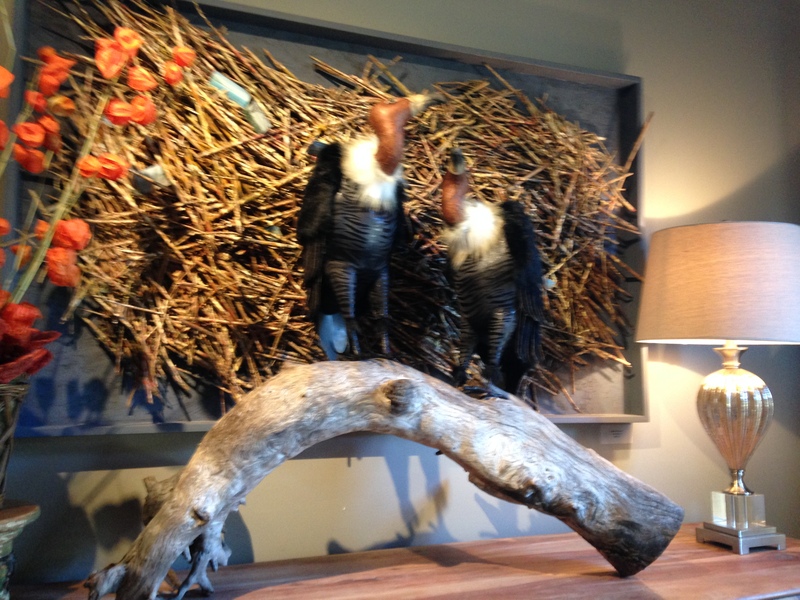 But, I smiled as best as I could despite nerves making my hands tremble and my stomach flipflop, and set up my table with promo items and the Hermes preview. While I was setting up, I noticed I was being stalked and my picture was being taken from someone hiding in the Children’s books section. 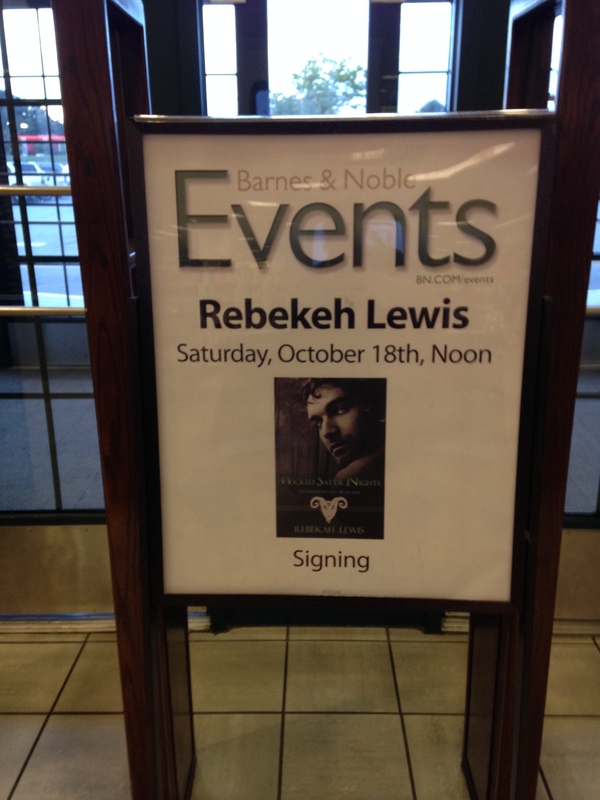 It was a friend of mine I met through attending signing events for one of my favorite authors! We chatted and she wandered off to collect the remaining copies of Under the Satyr Moon from the Romance section, as only WSN was on the table. While I was alone, I had one gentleman ask me where the “quiz books” were located, and then a lady asked where she could check out. 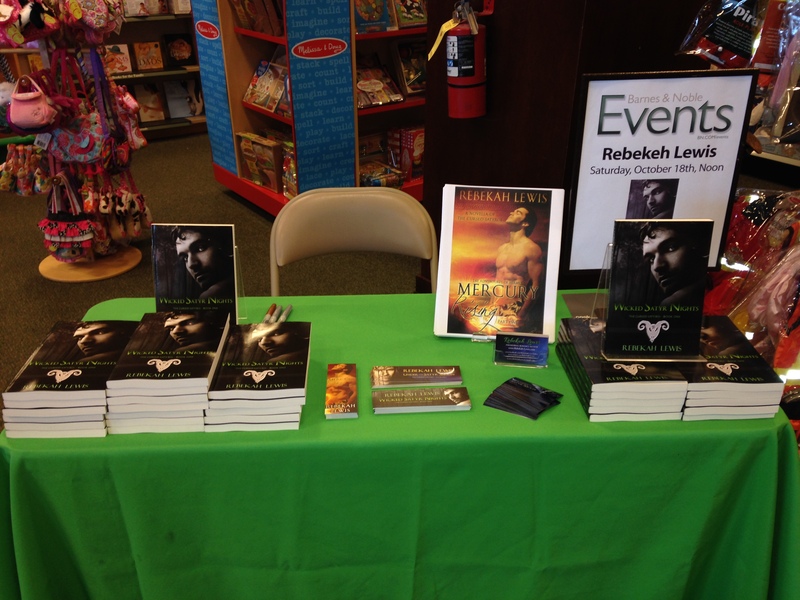 At this point I felt like chopped liver next to my Author Book Signing sign on the table. Neither were interested in the books. Luckily friends and family started showing up. My uncle brought me a gorgeous bouquet of flowers (which I am now having to protect from the furry one who thinks it is for her to eat and play with). I even met facebook friends I speak to online all the time but hadn’t yet met in person! 😀 Several people traveled from out of town to surprise me and I was thrilled! Thanks again to everyone who came to see me, whether I already knew you or not, you made my day! Most of the people who stopped to chat or read the back were interested until they heard that it fell into the dreaded genre of romance. This may be the only thing that truly disappointed me; not that everyone should love romance, but because it triggers an automatic “dislike” to people. At least three people, in response to my saying it is paranormal romance, replied almost verbatim to each other: “I like paranormal, but not romance.” Alas, everyone likes different things. I sold one third of the books on the table. Not bad, I think, for a relatively unknown author. Afterward, we went to lunch at a fancy smancy restaurant and I got to be so picky of an eater they offered to make me a bacon cheeseburger (not on the menu) LOL and it was delicious. 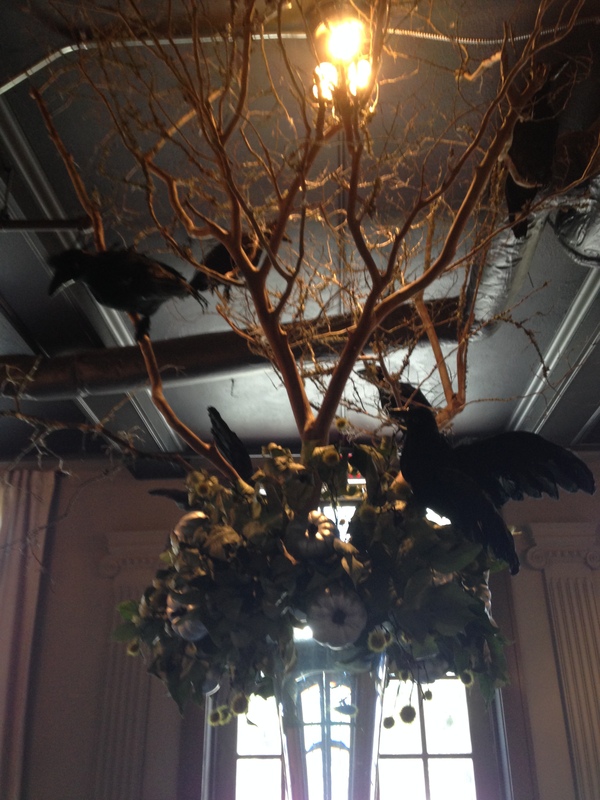 However, I was digging the decorations (below). 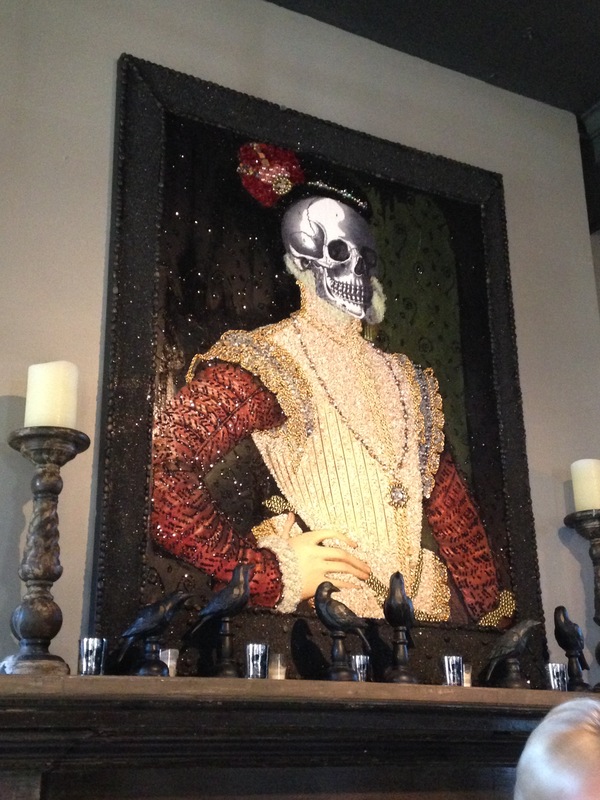 Lady Rebekah….I had tears in my eyes reading this. Just for the sheer reason that you looked so lovely and proud even when terrified. *hugs* I’ve only known you a little over a year but i think writers have old souls and who knows? Maybe we were friends before. But you’re a sister of the soul and I know, I just know….that today was just the beginning! 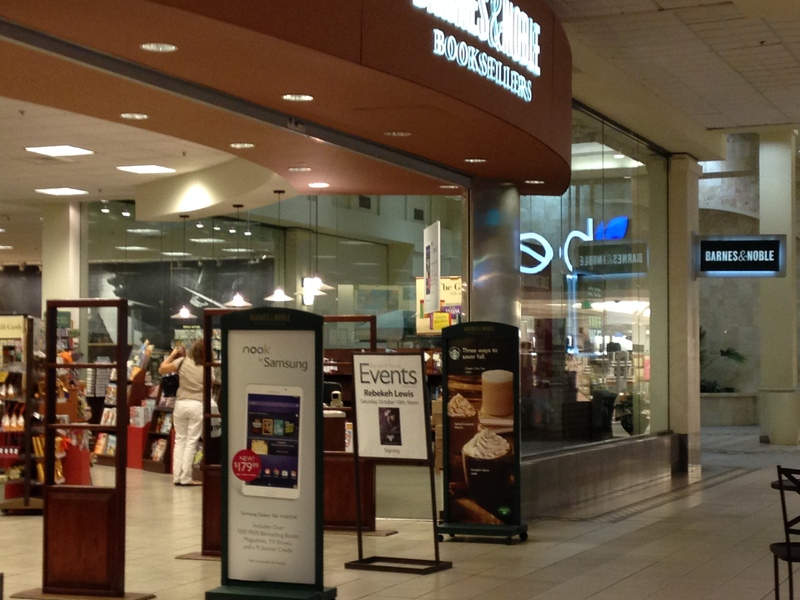 You, me and all of smexies at BP…book tour! You watch us make it happen! I love you hon! Tearing up reading your reply *hugs* I’m gonna make it to that side of the country one day. One day!!! !